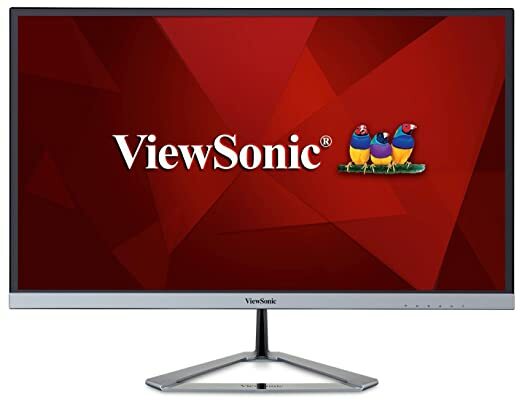 ViewSonic VX2776-smhd Review – Viewsonic’s VX-range of monitors fall under the entertainment section of the company’s catalog of displays. They cater for mid-range gaming, media duties, as well as day-to-day uses such as office tasks and photo or video editing. That may sound run-of-the-mill, but there’s nothing average about these consumer screens. The VX2776-smhd is one of the company’s newest entries. 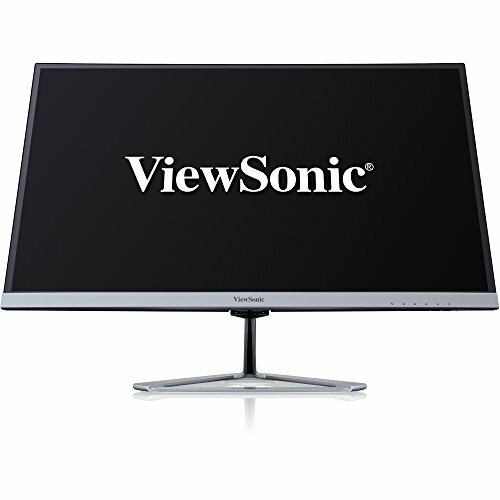 This 27“ 1920 X 1080 IPS monitor has a lot going for it. An 80,000,000:1 dynamic contrast ratio, 4ms response time, 178° viewing angles on both horizontal and vertical planes, and brightness of 250cd/m2 are all splendid looking specifications. However, the emphasis here is on the design of the monitor. 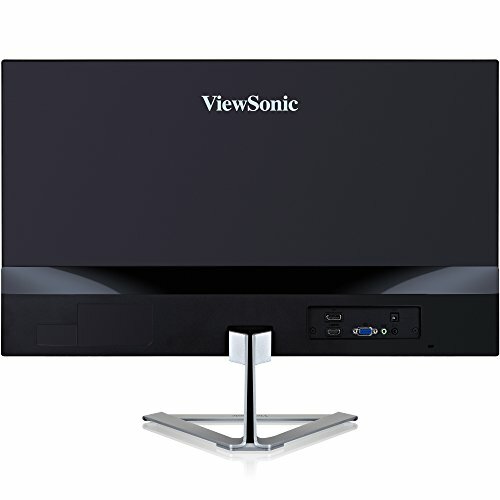 Located on the back of the monitor on the left sits a HDMI port, VGA port and DisplayPort so you can connect the monitor to a whole list of devices. The VX2776-SMHD comes with dual integrated speakers but you can also pair it up with external speakers and subwoofers, giving your movies and game extra depth and detail. The triangular, brushed aluminium stand will look great on a desk while remaining minimalist, giving you more space for other devices. You don’t have to worry about the bezel taking up viewing space as the VX2776-SMHD comes with an ultra-slim panel. Its frameless design was built for one purpose – to daisy chain multiple monitors so you can have an immersive viewing experience, whether it’s for gaming or movies. It also comes with a triangular stand, which sadly, can only tilt slightly front or behind so it’s mostly maintaining its rigid stance. 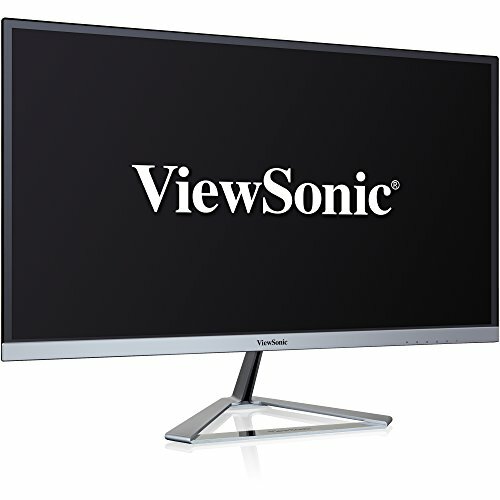 SuperClear is ViewSonic’s very own image enhancement technology and it helps to maintain color consistency on the monitor dishing out greater color presentation and consistency. This much is true as video games and movies look great on the VX2776-SMHD. It also comes with a 178° ultra-wide viewing angle so it doesn’t matter from which side you’re looking from, everything on the screen will still be consistent, clear and vivid. If that isn’t enough, the VX2776-SMHD also comes with flicker-free technology and a Blue Light Filter so you never have to worry about eye strains. Whether you’re in the mood to game, scare yourself silly with a horror movie, stalk your high school crush on Facebook or even try to get work done, the VX2776-SMHD has you covered in all aspects. It’s unique ViewMode feature offers ‘Game’, ‘Movie’, ‘Web’, ‘Text’ and ‘Mono’ viewing options. This allows you to pick the appropriate mode to have an optimized viewing experience. You can set your own customized profiles, which can then be used for a later time. 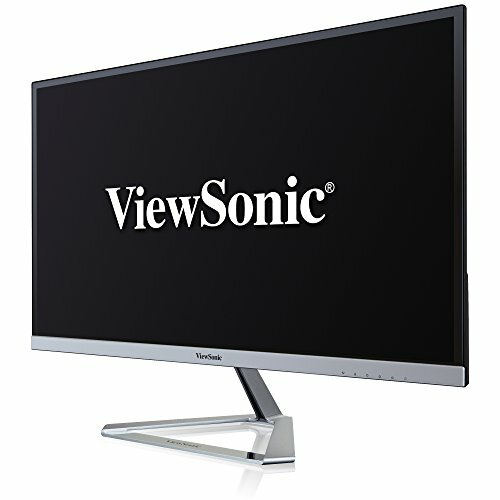 While other monitors offer thin bezels, ViewSonic has gone one step further and eliminated the bezel altogether. 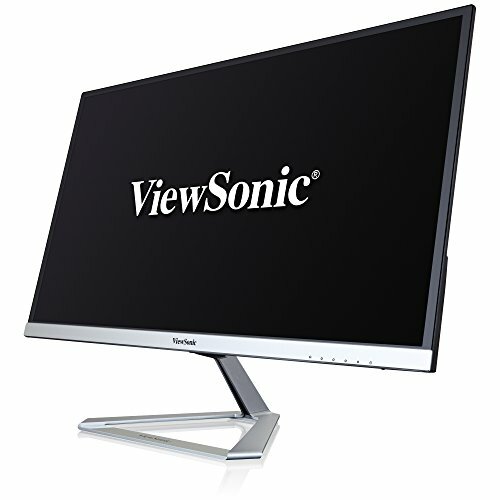 The VX2776-smhd is a totally frame less design, bringing the edges of the screen up to an incredibly tight 8mm from the edges of the monitor. 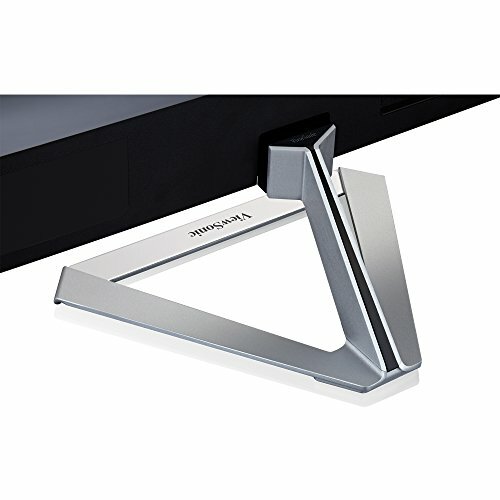 Plus, the screen thickness is only 6.6mm at its thinnest point, increasing to 25mm toward the base of the monitor where the connectivity is and where you’ll fit the stand. 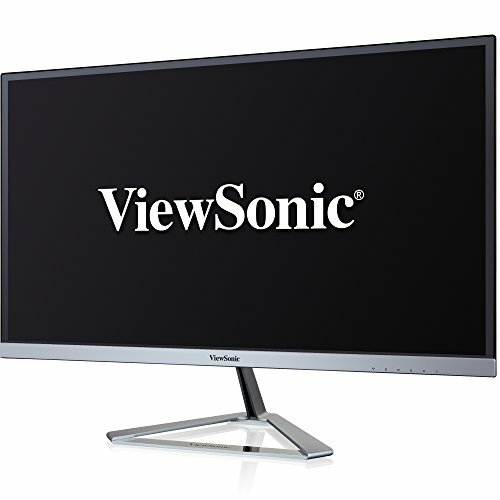 Speaking of connectivity, ViewSonic has opted for a more generalized set of ports: HDMI, DisplayPort and VGA – no DVI unfortunately. There are also Line-in and headphone ports, and the monitor does come with a set of half-decent 3W speakers. 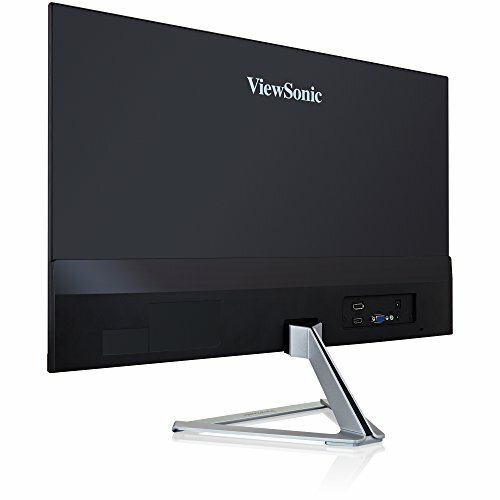 The design is certainly an important feature here, and ViewSonic has gone to great lengths to ensure the rest of the monitor is as up to scratch as the frame less screen. 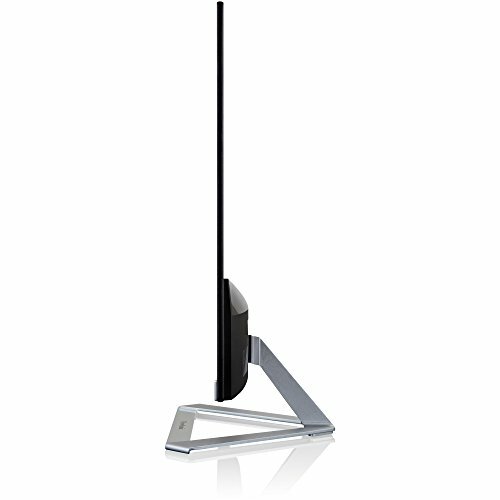 The stand, for example, is a thin wedge that elegantly curves down to a triangular base made of anodized aluminium, with a polished front section displaying the ViewSonic logo in black. This black and silver theme is worked across the entire monitor and, in our humble opinion, looks great. While ’only’ full HD, as opposed to 2K or 4K, the quality of the image is startlingly good. The IPS display is of excellent quality, and you get a great and deep range of colours along with a rich black. It’s not the fastest monitor we’ve ever tested, but 4ms is still ample for 99% of users, with only the gaming community possibly noticing. 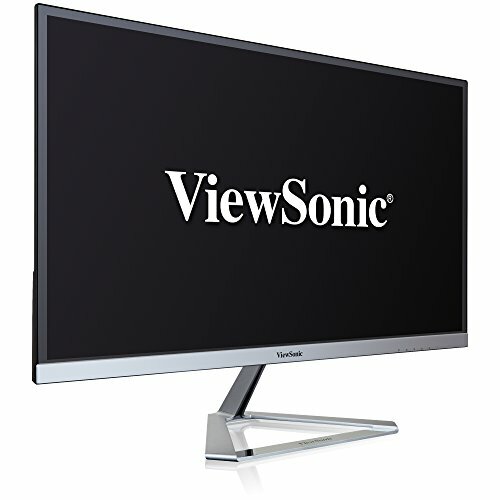 ViewSonic has also included flicker free technology, Eye-Care technology and a low blue light setting, which results in a better quality screen for prolonged use. In addition to all that this is a remarkably low-power monitor. The frameless design, and ultra-thin screen make for a stylish setup consuming just 22W when in normal use and dropping to 17W in ECO mode. 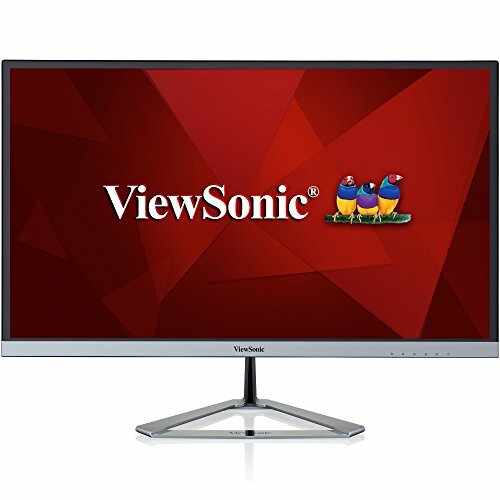 An excellent monitor at an extremely competitive price.